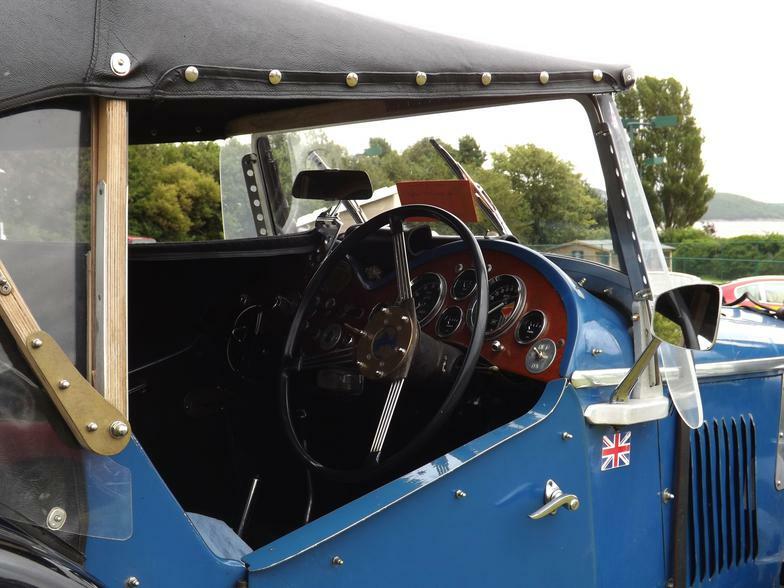 'Hoppy' has a 13/60 engine and an unusual hand built wooden roof frame. 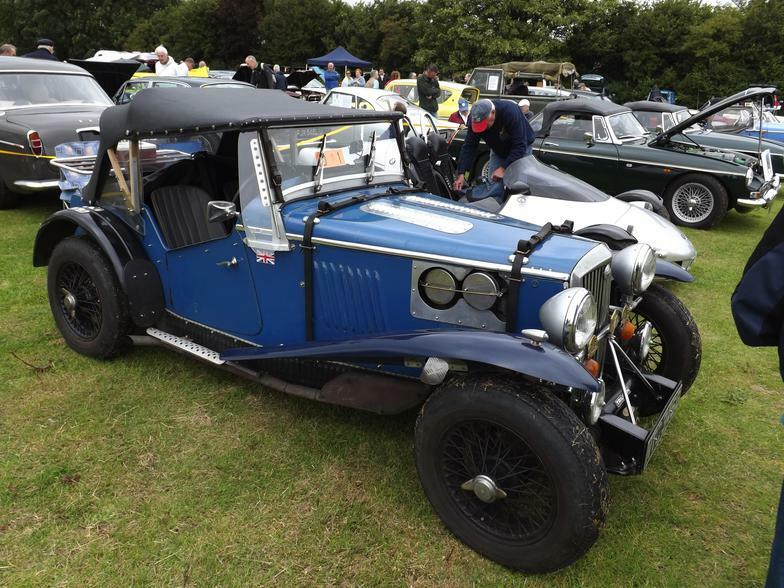 Way back when, very young, to celebrate my 60th birthday I built a Pembleton three wheeler which I love to drive (and do to this day) There is one problem however, it’s got no weather gear at all, not even a windscreen. I wanted something that had quite a high stance to it. I did some drawings using a 2cv as the base vehicle. I remembered a local car club called the Nutcrackers group. In their March 2007 news letter there was an advert for a Midge on sale. It was a wet Wednesday morning and I had nothing better to do, so I phoned up about the Midge. At this stage I had no intentions in buying it. 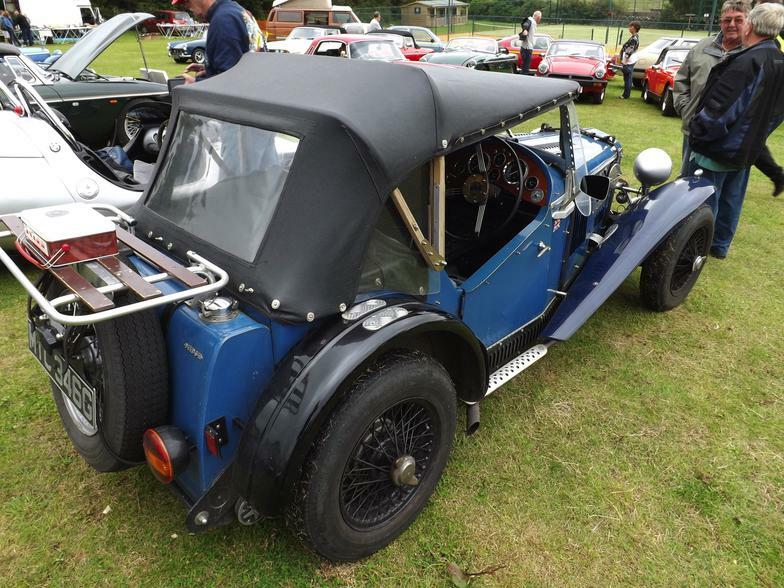 I was told the Midge had started as a Triumph Herald 13/60. I had in my thirties owned two Triumph Heralds so I was familiar on their running gear... next thing I am saying is can I come and have a look? And there's no harm in that, is there? 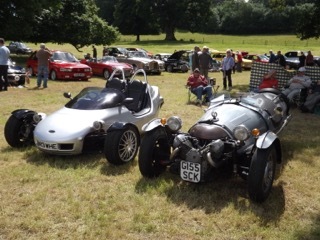 Seen here at Leighton Hall Classic car show, it just goes to show that you can still have a full and interesting life away from your Midge, as long as you have another small roofless car that can make small children point, women faint and grown men grind their teeth in jealousy. 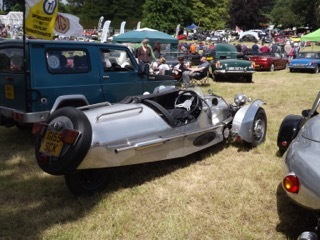 The Pembleton is based on Citroën 2CV parts and comes in 3 or 4 wheel form. 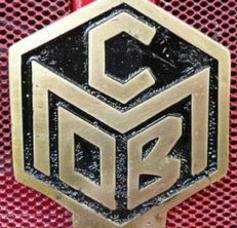 Powered by Citroen, Moto Guzzi or BMW engines they and the Lomax provide interesting and entertaining things to do with a 2CV chassis if you haven't got a Herald or a Suzuki. Or as Malcolm has proved, you can have both. We all know what happens next don't we? A week later it was sitting in my yard. I had become the not so proud owner of Hoppy the Midge. The day after my wife caught me looking out of the window looking at this sad little Midge and she said "surely you are not regretting buying that are you?" I said not but I was. It looked sad, but all the time I could see this picture of this 1960s trials car ‘special’ winking at me. It was very faint but it was there. *I hadn't given a lot of money. *I knew I could get my money back if need be. I spent the next few weeks giving the Midge a good looking at, some things I liked, lots of things I did not. There where things that to my mind that were down-right dangerous. I did drive it around the block…. It was awful. My plan of attack was mend, repair and alter all the things I considered dangerous. So the next thing I did was a scale drawing of the side elevation of the Midge altering all the things I don't like. I made two drawings, one 'weather gear down' and one with it 'up'. I wanted it to look right on both drawings. The first real thing I changed were the wheels. I had some Citroen 2cv 15 inch wheels with cross ply 'cammac' tires fitted on my trike. So I tried one of these, it had an overall diameter of 26 inch so I changed the wheels on my drawing and then lifted up the mud guards to give a trials car clearance. So the next job was to compare the Citroen and trial wheels. I found the inside dish was very nearly the same! This was looking good. My next job was to make up an adapter in wood to fit the Citroen 15 inch wheels to the triumph hubs. I couldn't believe my luck, everything cleared on full lock both ways. 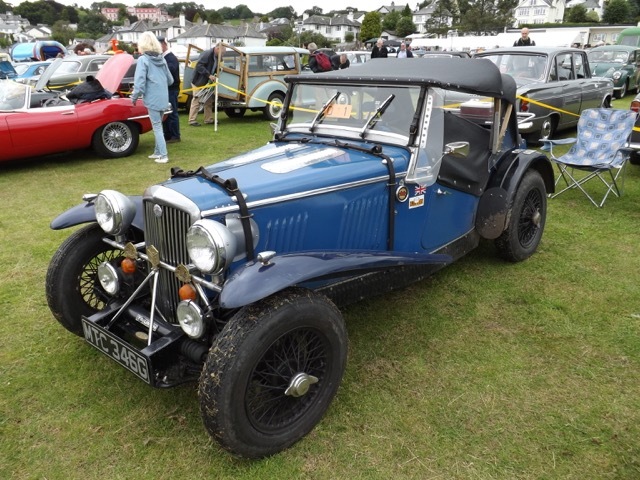 This was the way forward, I could now see my 1950s trials car special coming to life. One night one of my mates came around and saw my drawings of the midge. “It’s the Midge - with bigger wheels” I say. The Midge still had no weather gear. This had to be my next step. In the early 90s I had owned a Marlin 1800cc, a lovely Motor until you put the weather gear up, then it felt claustrophobic. it steamed up, it felt damp, I always felt trapped in it. I didn't want anything like this for the Midge. 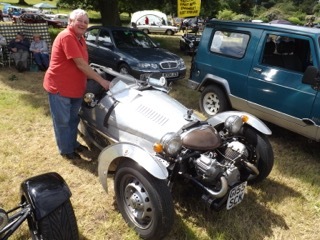 At a car show we met a man who had a lovely alpha Romeo that had raced at Brooklands with the weather gear they had to do so many laps with the weather gear up and so many with it down, so the quicker you could get it up and down the better. The man was one of us and gave us a demonstration. I was seeing just what I wanted for the Midge. I'm managed to do a few sketches… Its main points - where it would look right on the Midge - were that the hood over hung the windshield on either side by about 3 inches so I wouldn't need side screens, the hood frame was on the outside of the body work thereby giving as much internal space as possible. 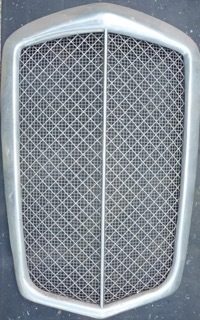 The design was simple and practical and has always worked well, making a car useable for me all year round. I've driven a car in rain, snow, wind and blizzards for days on end - and never at the end of the day dreaded the next as you would in a trial. Do I think the midge would be any good as a trials car? Well, no. There's not enough ground clearance. Over the years most of the things I didn't like about the Midge have been altered but there are still a few left to do I have now owned the midge for 9 years, in that time I've covered 22984 miles and have enjoyed every single one of them. ​ The Midge has been continually on the road and been used every winter. It has taken part in 4 or 5 Raid-Tan Hill events which are always held at the beginning of January and can be a test of endurance for car and driver. There is even a picture in Classic & Sports Car, March 2008 on page 156. I have had trips down into Wales and up to Scotland on a number of occasions and last year its longest trip up to Durness right at the top if Scotland. The way I have always looked at it is I'm a member of Green Flag and if it all goes pear shaped they will bring me home. There has only been one time I have had to be brought home and that was when I crashed coming down Kirkstone Pass. How would I describe the Midge; lots of fun lots of charm as rough as a bears bum in places and it nearly always wants cleaning. It seems to look better with a bit of mud splatter on it.